As you can see from the list below, we tasted more than a case of Rias Baixas Albarino. In this blog post, I am going to share a few highlights from each night to pique your curiosity, then I will link to the blog posts as I get them up. 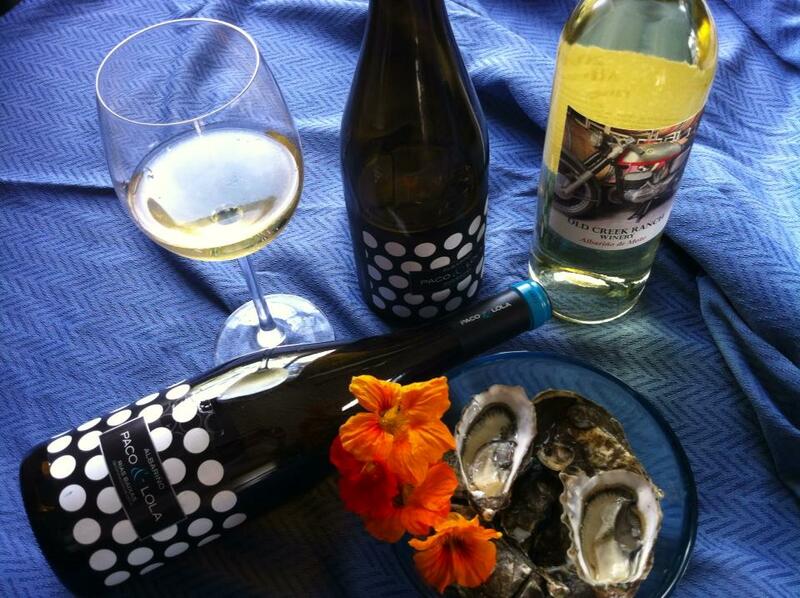 We really went all out on what wines to pair with these Rias Baixas Albarino! Coming blog posts will go into more detail with tasting notes, menus, recipes and links to recipes. Subscribe so you won’t miss out! In general, foods that pair well with Sauvignon blanc pair well with Albarino. While most of the wines we tasted over the nine weeks were 100% Albarino, a few were Albarino blends. As they all came from the same region, Rias Baixas, the tasting was organized by various themes, listed with the wines below. On many of the evenings, not everyone received all of the same wines being discussed, and that made it a bit more chaotic than usual. We definitely prefer it when we are all tasting the same wines at the same time and in the same order to have a better conversation about the wine. Overall it was an amazing experience and we came away with a love for Albarino from Rias Baixas, Spain! There were so many wines in this two month period that at one point I used sticky notes to keep track of which wine to drink when! Above are the first group of wines we tasted in April and below the second group of wines that we tasted in May.